Namaste! 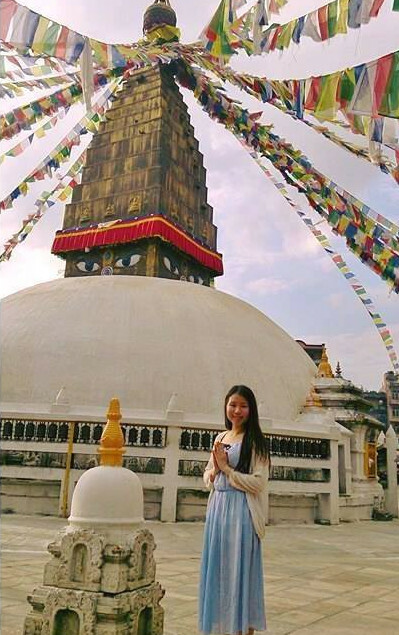 This is Prajna, from Hong Kong. I would like to thank OLE Nepal for giving me the chance to assist in the quality education in digital learning advocacy efforts. After having a week service trip in Nepal last year, the profound experience had triggered my motives and ideas to support the development of children’s education in the region, therefore, I designed another visit to Nepal after my graduation and before taking any full-time work, as my graduation project. With the specific concern of the quality of education, I had been thinking of any social projects that can be facilitated for creating a better learning environment in Nepal. Having observed the major differences of education received in developing and developed regions, I would like to say that the accessibility to the Internet and quality content have largely determined the level of empowerment of one’s self-learning. The idea of donating laptops has come to my mind and that had motivated me to support Open Learning Exchange Nepal (OLE Nepal) who has been working on this social cause. Before leaving Hong Kong for Nepal, I received an introduction of One Laptop Per Child (OLPC) project by the board member of OLPC Asia, Mr. T. K. Kang. 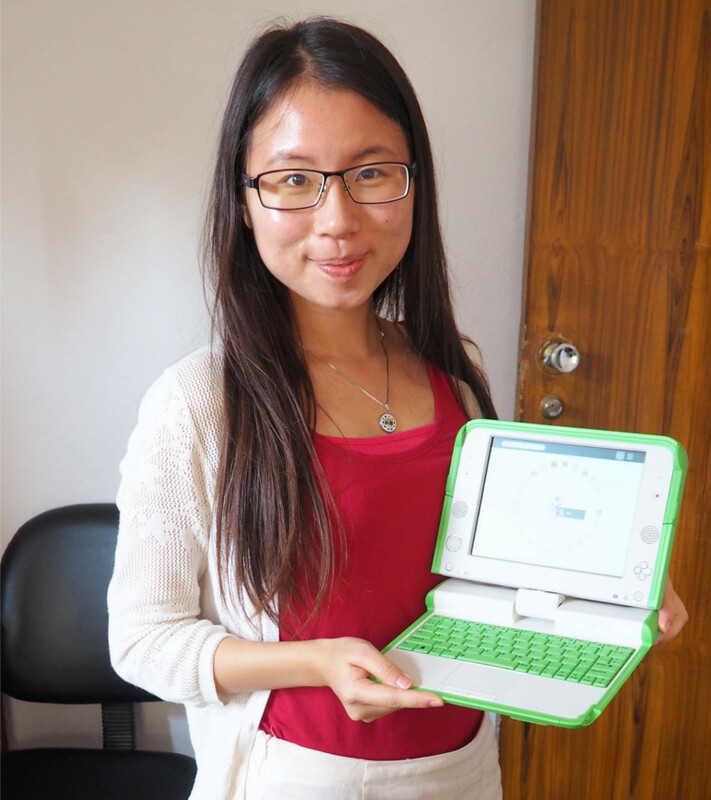 I picked up the whole picture about the structure of OLPC project before my service in OLE Nepal. The pedagogy behind OLPC with the hardware design of XO Laptop plus the open-source Sugar system are appreciated and impressive, enabling children to learn by themselves, applying the concept of “Constructionism”. Throughout the volunteering period, my service duty was mainly on Communications and Social Media. Thankfully I got the chance working on a strategic design of the social media and communication plan with the Communication Officer, Trishala and some more colleagues. I was also working on the implementation of content writing and media curation for advocating the E-Pustakalaya (E-Library in English) to the local community. E-Pustakalaya is an education-focused, open-sourced, interactive digital library for all Nepali & English readers. The development of E-Pustakalaya follows a philosophy that provides quality education in Nepal through creating an interactive learning platform for users while collecting learning sources from widely-recognized institutions from the local and international community. Definitely, the provision of digital library has given children new forms of learning, while both teachers and parents are able to access the resources without spending a penny for the quality teaching content and facilitation of interactive education. I appreciate that OLE Nepal is acting as a manager to manage the all-rounded learning experience for young learners in Nepal, supporting digital content creation – designed based on the national curriculum, platform management and teaching training. I see the existing and potential impact of this organization’s work in the country. Having accessed to the Google analytics of the several websites, I was surprised to know the online library has been used by Nepalese and English readers from all over the world, users covering different continents. I am glad that I could present in a meeting about an international-scaled fund deployment, it has enabled me to understand more about the NGO landscape and fund-raising considerations from the project donors. Funding is the important element to sustain the operations of most of the social projects which bring long-term social benefits. Of course, self-initiation had a positive impact to my service experience. Proactive learning has brought me much more exposures, such as visiting the annual Kathmandu book fair and local community library. After the period of mutual understanding and interactions, I found the colleagues in OLE Nepal are competitive and collaborative. They are open-minded and proactive to understand my observations of what I had been witnessing in those few weeks and what OLE Nepal has been working on. The organizational culture is amazing; the management is generally much similar as the western-style. It seems voices from every co-worker can be respected and concerned. The hierarchy is not apparent; the culture is unexpectedly open. Employees are autonomous, independent and are strong team-players. I witnessed the systematic style in their collaboration, not only by the interactive and transparent communication tool but also the progress monitoring system across departments. I appreciate the work-life balance the colleagues have achieved since I presented at their birthday party for their colleague, as well as some after-work chill out and site visits. A Chinese saying goes: “Never reject anything virtuous for its pettiness”. Truly, what I have realized from the experience is that: when you come across the right thing happening in front of you, no matter how big or how small that you think your impact can be, go and follow what is right and support the happenings rightly. I would like to hereby thank all colleagues in OLE Nepal for facilitating my learning and showing your hospitality to me. The road to the mission is long, tough and full of obstacles. I deeply appreciate their hearts and commitments to work for some positive impact to the community. Their passion has led the OLPC project pass through milestones in the past decade and will continue in Nepal for many more.